The eventual champion went out in two under 34 with birdies at the third, fifth, sixth and eighth cancelling out bogeys at the second and fourth. Another birdie at the 11th put him three under for the day and while he bogeyed the 12th and 17th, Brooker could only manage a three over 74, dropping three strokes on the outward nine. Tramore's John Mitchell shot a 74 to take third with Nigel Duke's final closing 70 moving him up to fourth on five over alongside Naas' Maurice Kelly. Maurice Kelly carded a superb final round 69 to capture the Tourism Malaysia sponsored Irish Seniors Amateur Close Championship for the third time. 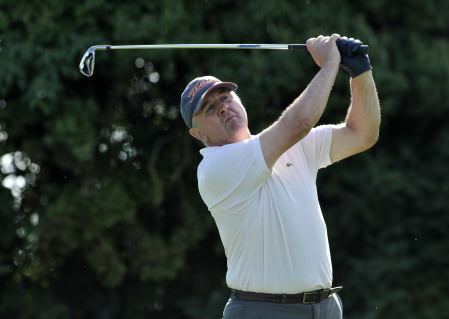 Skerries' Richard Brooker fired a one under par 70 to take a two-stroke lead after the opening round of the Leinster Senior Amateur Open at Forrest Little. Killiney's Nigel Duke and Woodbrook's John L Hughes shot one over 73s to lead by two shots after the opening round of the Leinster Seniors Amateur Open Championship at Enniscorthy.